The prolonged Arizona Senate election is Democratic Rep. Kyrsten Sinema’s to lose as incoming mail-in ballots continue to trend in her direction. Following a dump of new mail-in ballots Sunday, Sinema expanded her lead over GOP Rep. Martha McSally — with Sinema now leading by 32,292 votes, or 1.5 percentage-points. Her campaign is declaring it would be impossible at this point for McSally to swing the election. However, McSally’s camp is holding out hope, pointing out that thousands more ballots remain to be counted. There are estimated to be well over 200,000 votes left to tally. Arizona — a state where 75 percent of votes are cast by mail-in ballot — traditionally witnesses slow-paced election results. Arizona Republicans had filed a lawsuit over the state’s election process, alleging that county recorders were not following uniform process when verifying mail-in ballots. Parties involved in the lawsuit were able to reach a settlement on Friday, allowing voters to verify their signatures by 5 p.m. on Nov. 14. While there are thousands of votes left to be counted, with the potential of swaying the election in McSally’s favor, the uncounted precincts are heavily centered in Democratic-leaning areas. The Arizona Republic estimates that the Republican candidate would need to win the remaining votes by a 15-point margin in order to tie the race. Uncounted ballots are in Pima, Coconino, Maricopa and Pinal counties. Sinema is winning in all of these counties except Pinal. 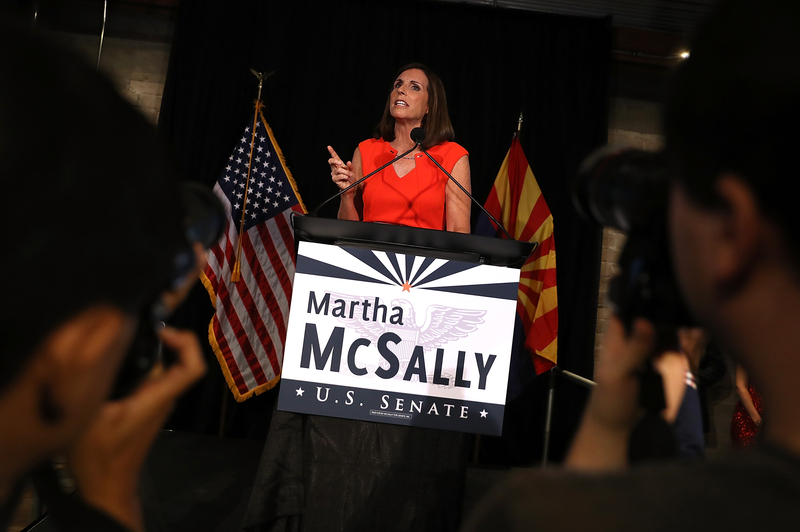 “McSally would have to win the remainder of Maricopa County ballots by 22 percent to take the lead in this race. This is not plausible,” Piatt stated Sunday. The election forecasting website Cook Political Report has projected Sinema to win the election. As of Monday morning, no other major network has officially called the race. McSally and Sinema are running to replace outgoing Republican Sen. Jeff Flake, who announced in October 2017 that he would not run for re-election.